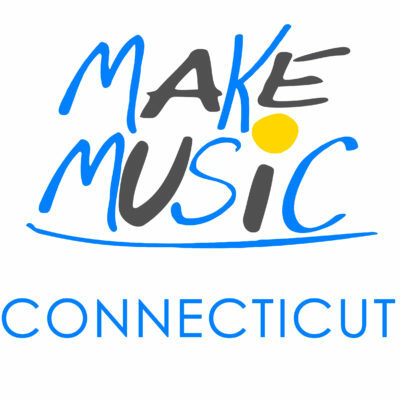 BRIDGEPORT CT: MAKE MUSIC DAY, FRIDAY, JUNE 21, 2018. 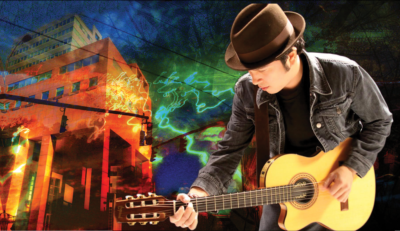 CELEBRATE COMMUNITY THROUGH A GLOBAL DAY OF FREE MUSIC. Bridgeport CT again joins the international Make Music Day community by participating in CT’s second statewide Make Music Day celebration (MMD-BPT). Enjoy live, lunchtime music happening in public spaces like: the Broad Street steps, Barnum Museum grounds, the Margaret Morton Center. Tune in to WPKN radio for live local music. Join the WPKN programmers and listeners for an evening of live concert at the Bijou Theatre, broadcast live by Wpkn Radio 89.5 fm. Check out the day-long calendar of events. MMD-Bpt offerings include: Live lunchtime music, a happy hour live dance performance on a waterfront site, (location TBA,) choreographed and designed by Luis Antonio, and a concert at the Bijou theatre, broadcast live by WPKN radio, 89.5 fm… more to come! 12-1:30 pm-Lunchtime music in public places includes: Musical collage-compositions on guitar by Chris Cavaliere at Funchal Americana and funkish guitar jams and original songs by Popular covers by Billy Lopez-vocals & keyboards at the Margaret Morton Center, James Moss plays the Kalimba on the Broad St Steps, Nina Lesiga on ukulele, in front of the Barnum Museum. 4:30-6:30pm-Happy Hour Festivity Highlights: Include the unveiling of the public art installations at Knowlton Park with an original dance performance piece by Luis Antonio. 7:30-10:30pm- FREE Music Line-Up at the Bijou Theatre: WPKN radio, 89.5 fm will broadcast the performance live along with daylong Make Music Day broadcasts featuring live music performances and interviews. Highlights from Make Music Day-2018. THANK YOU to Sponsors!!! City Lights/Bridgeport Art Trail Thanks Bank of America, the lead sponsor of the inaugural Make Music Day-Bpt. Also Thank you to A/V Davey for sponsoring sound and projection equipment, the Bijou Theatre for hosting the evening of music, CT Post for advertising, and Phil Kuchma for his generosity of time and financial support. Thank you to the city of Bridgeport and the State of CT Office of the Arts. THANK YOU!!! To all the musicians and performers who donated their time and talent. Community partners organizing the Make Music Bridgeport are City Lights/Bridgeport Art Trail, the Downtown Special Services District, the Bijou Theatre and WPKN radio 89.5 fm. Bridgeport is the home of a growing community of musicians and recording studios producing Reggae, Rap, Blues, Baroque, Bluegrass and more. Homegrown music events include PorchFest, the Black Rock Famers Market Hootenanny and Downtown Thursdays. Mark your calendar, sign-up to play. Photo: Rick Reyes, singer/songwriter of the Cosmic Jibaros, MC of free MMD-Bpt night at the Bijou Theatre. Thank you to AV Davey Audio Visual for sponsoring light and sound equipment. Thank you to the Fairfield County Community Foundation, Bridgeport’s Downtown Special Services District.